Could the end of cash be nigh? Coins date back to at least the 7th century BC and paper bank notes were first used in China from around 700AD, but, it would seem that the days of physical coins and bank notes could be rapidly coming to an end in the digital age. Visa, the card payment provider, has vowed to “put cash out of business” and has to plans to incentivise British retailers to stop accepting coins and notes. Time to get a new credit card? Visa – bribing businesses to drop cash? Visa is planning to offer British businesses lump sums of thousands of pounds and free contactless technology upgrades, if they stop accepting cash and make sure all transactions are carried out with cards or using digital payment like ApplePay. This follows a similar move from Visa in the US, where they offered 50 small shops and restaurants a lump sum of $10,000 in return for going cashless. Currently, small businesses will often encourage customers cash for small purchases, citing transaction fees charged by card companies. 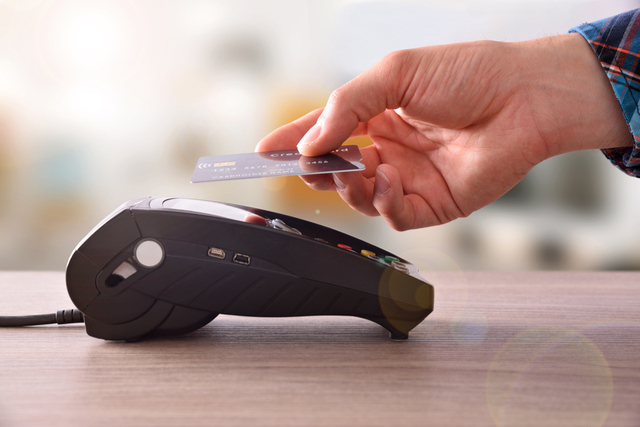 Cash has slowly been shrinking as a share of payments for years now, with cash making up only half of all payments in 2015 and as of the last statistics from the UK Cards Association, cards now account for 78% of all retail sales. This may well be a result of contactless payment taking over from cash for small transactions. Contactless surged in use from around 2015, when many banks and credit card providers started offering contactless cards as standard. Contactless payments increased by 225% during 2016, and as of 2017, one out of four card payments are contactless. How does contactless payment work? Contactless payment is intended to be used for small value quick transactions, like buying coffees, groceries and drinks without needing to enter your pin. To pay you tap your card on a shop’s payment reader, without having to enter your PIN. You can pay for transactions up to £30 with contactless payments. The first time you use your contactless payment card you will be asked to enter your PIN. After this you will only have to enter it again occasionally to verify your identity, or if you spend over £100 on contactless payments. Another rival to cash is coming from the mobile phone business. If you have a smart phone that supports the technology, you can use your phone to make contactless payments. You will need to download either the Android or Apple Pay apps (depending on what kind of phone you have) and link the app to you credit and debit cards. Unlike contactless cards there’s no limit, as you’ll need to use your finger print to access the app. If you’d like to know more, you can read the uSwitch guides about Android Pay and Apple Pay.